When we lived in Chengdu, there was this amazing Japanese restaurant that served the most delicious noodle broths. The restaurant was tiny, only having about 10 seats and diners sat all along a long table. The waiters would ask you millions of questions in Chinese about everything about how you’d like your egg cooked to what type of noodles we wanted. We never knew what to get, so just told them to give us the most popular option. The result every time was a rich, pork miso noodle broth. The aforementioned noodle broth from a tiny restaurant in Chengdu. 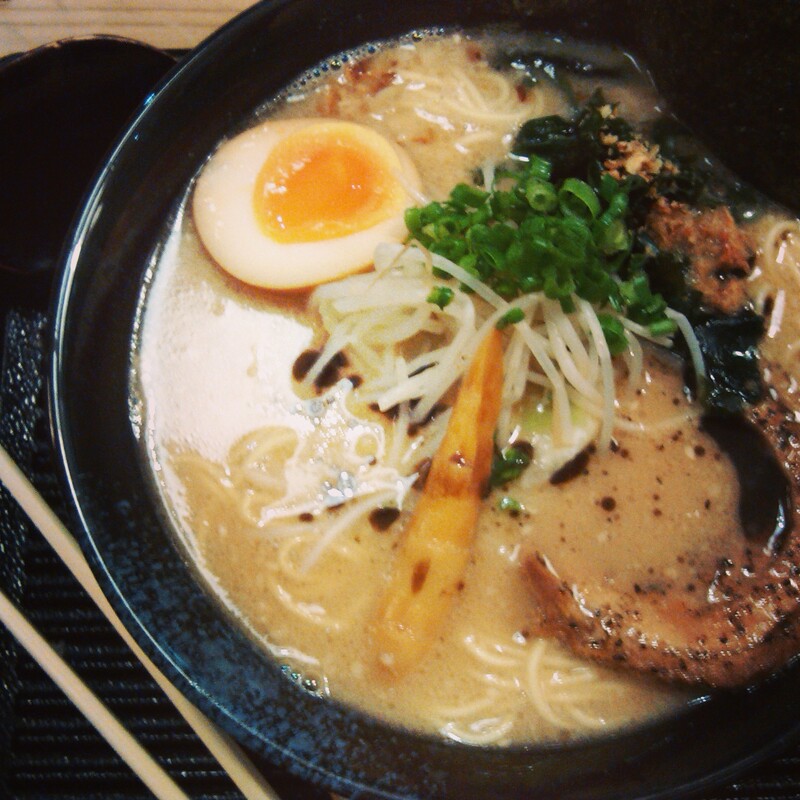 Since coming home to Newcastle, I’ve really missed the food in Chengdu, and especially that bowl of Japanese noodles. But, I’m happy to say that after months of craving, I’ve had my fix – at St Sushi. When we arrived, we were the only customers there. I didn’t care. 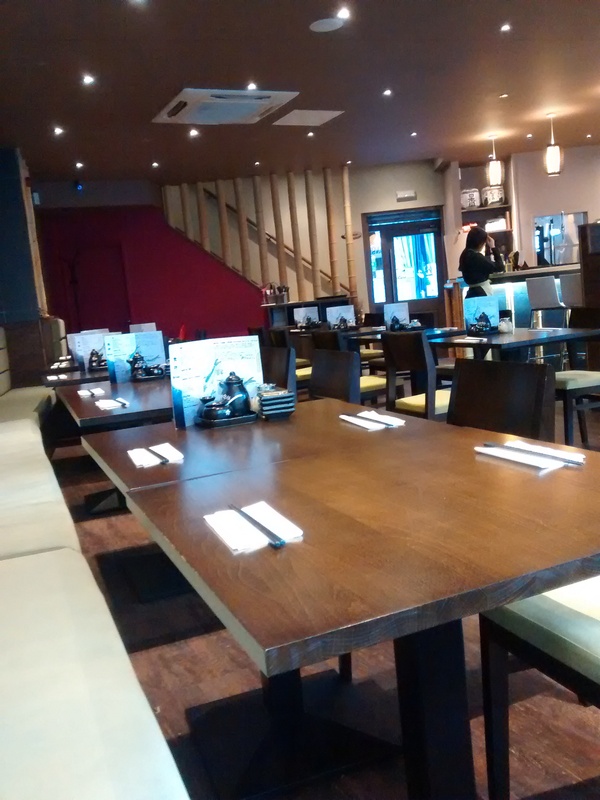 The staff were friendly, offered us window seats and gave us the menu – which was super thick. I’d read online that they had over a hundred Japanese dishes to choose from, but didn’t believe it until them! 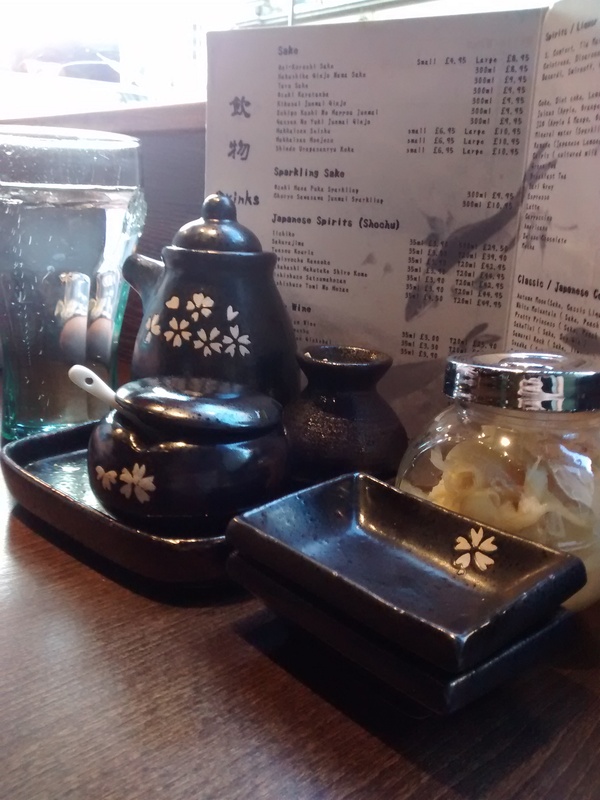 Sushi, tempura, curries and bento boxes make up just a portion of what’s on offer. We ordered the same thing. Is that a food blogger faux pas? 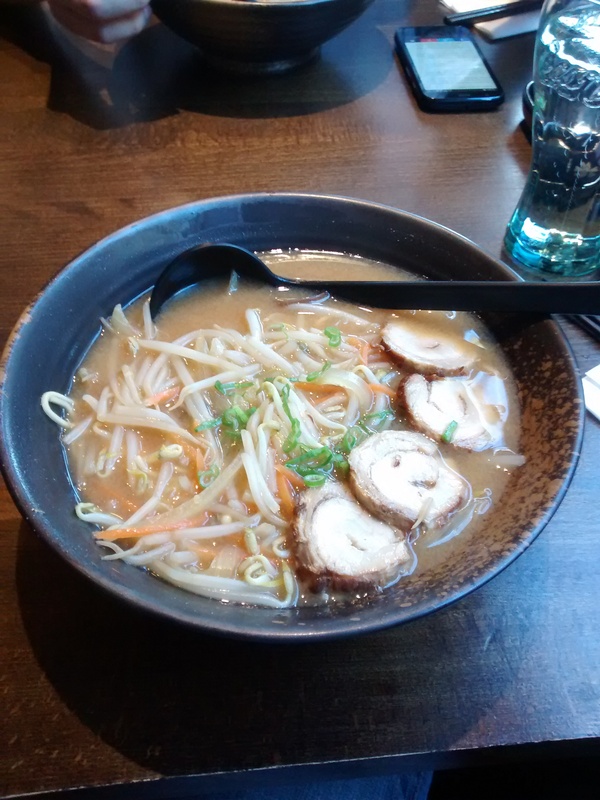 Pork miso noodle soup with ramen noodles. I don’t really care though, as it was absolutely delicious. The waiting time wasn’t too long, but long enough to know they were cooking it up fresh for us. The soup tasted just like the Chengdu equivalent, although I was a little disappointed that there wasn’t a soft boiled egg on top. I think that would have made it perfect. The pork had an incredible flavour and almost melted in my mouth. By the time we were finishing our meal, more and more people were coming through the doors and the restaurant was starting to have a bit of a buzz about it. Although we just had a quick dinner, we’ll definitely be returning. St Sushi can be found on 89-93 Westgate Road, Newcastle. I’ve never been to St Sushi but have walked past it many times. I will make it my mission to go this year! Do! You won’t regret it! This looks fabulous- Really must persuade the Mr to dine here! He’s not a sushi fan and I think he’s worried that’s all that would be on offer! Will show him this post and win him over!